The Sheriff, by statute, is responsible for operating the County Jail. The Jail Division maintains all functions related to Jail and Inmate management. The jail houses approximately 167 inmates. The St. Joseph County Jail operates with a staff of twenty-four (24) full time and five (5) part-time employees, which includes four (4) Correction Sergeants. Annually, the jail staff processes approximately 3500 inmates. 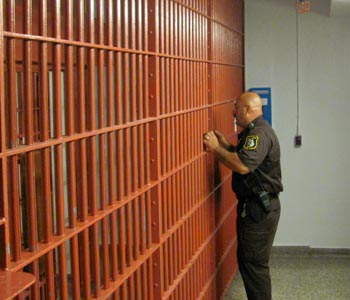 The Jail Staff's primary responsibility is to provide a safe, secure, and humane environment for inmates.